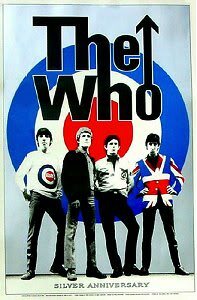 The late Great drumming legend Keith Moon, The drummer with English rock group The Who, sadly died in 7 September 1978 after overdosing on Heminevrin, a drug designed to help curb alcohol abuse. He was Born 23 August 1946, Moon grew up in Wembley, London and took up drumming in the early 1960s. After performing with local band The Beachcombers, he joined The Who in 1964, before they had recorded their first single. He stayed with the band during their rise to fame, He occasionally collaborated with other musicians, and appeared on radio and film, Moon took lessons from one of the loudest contemporary drummers, Screaming Lord Sutch’s Carlo Little, at ten shillings a time. Moon initially played in the drumming style of American surf rock and jazz, with a mix of R&B, using grooves and fills of those genres, exemplified by the noted Los Angeles studio drummer Hal Blaine. But Moon played faster and louder, with more persistence and authority. Moon also suffered from a number of tragedies, notably the accidental death of his chauffeur, Neil Boland, and the breakdown of his marriage. He became increasingly addicted to drink, particularly brandy and champagne, and started to acquire a reputation for decadence and dark humour, giving him the nickname “Moon The Loon”. He moved to Los Angeles with his personal assistant, Peter “Dougal” Butler, he attempted to make his only solo album, the poorly received Two Sides of the Moon. By the time of The Who’s final tours in 1976, and particularly during filming of The Kids Are Alright and recording of Who Are You, the gradual deterioration of his condition started to show, he blacked out on stage, and he was hospitalised on several occasions before moving back to London in 1978. Best known for his work for disabled people, Group Captain Geoffrey Leonard Cheshire, Baron Cheshire, VC, OM, DSO and Two Bars, DFC was Born 7 September 1917 In Chester, and was educated at the Dragon School, Oxford, Stowe School and Merton College, Oxford. Whilst at Oxford he became friends with John Niel Randle. On one occasion at Oxford he was bet half a pint of beer that he could not walk to Paris with no more than a few pennies in his pocket; he won his bet. He stayed in Germany in 1936 with a family in Potsdam and whilst there, witnessed an Adolf Hitler rally. Cheshire caused great offence by pointedly refusing to give the Nazi salute. Cheshire graduated jurisprudence in 1939. Dykes died in August 1948. After completing the arrangements for his funeral, Cheshire idly picked up a book a friend had sent him. It was One Lord, One Faith by Vernon Johnson, a former High Anglican clergyman who, against every cherished instinct and prejudice, had converted to Roman Catholicism because, as he put it, “I could not resist the claim of the Catholic Church to be the one true Church founded by Our Lord Jesus Christ to guard and teach the truth. Joan Botting had converted to Jehovah’s Witnesses.On ChriCheshire converted into the Catholic Church in 1948. The next day, Joan Botting and her children, Mavis, Gary and Elizabeth, moved out of Le Court for good. At the beginning of 1949, eight patients were staying at Le Court.Six months later, there were 28. Cheshire dedicated the rest of his life to supporting disabled people, combining this with lecturing on conflict resolution. In 1948, Cheshire founded the charity Leonard Cheshire Disability, which provides support to disabled people throughout the world. It is now one of the top 30 British charities. Other organisations set up by Leonard Cheshire are:The Ryder-Cheshire Foundation,set up by Leonard Cheshire and his wife Sue Ryder at the time of their marriage in 1959. this deals with the rehabilitation of disabled people, through ENRYCH and the prevention and treatment of tuberculosis, through Target Tuberculosis. In 1953, Cheshire founded the Raphael Pilgrimage in order to enable sick and disabled people to travel to Lourdes. The Leonard Cheshire Disability & Inclusive Development Centre is a joint project by Leonard Cheshire Disability and University College London. In 1991 he was created Baron Cheshire in recognition of his charitable work and Cheshire also founded the Memorial Fund for Disaster Relief, for whom the Roger Waters concert “The Wall – Live in Berlin” was held. Cheshire opened this concert by blowing a Second World War whistle. Cheshire was also concerned about future remembrance and was influential in the concept of the National Memorial Arboretum, founded by David Childs. Leonard Chesire sadly died 31 July 1992. He However his legacy lives on And The amphitheatre at the National Memorial Arboretum in Alrewas is dedicated to the memory of Leonard Cheshire.